The weather is getting cooler and the crowds are thinning out on the Gulf Coast, at least for a little while. While you are choosing your pumpkins for carving and costumes for Halloween there is more fun to be had that can be spooky and creative. Fall Festivals. When October and November roll in, so does fall festivals including Shrimp Fest, Oyster Cook-Off and this year World Food Championships. While these are just the big name events, there are lots of small local food tastings that gives your inner foodie a chance to find your new favorite local restaurant. Shrimp Fest is a giant festival of fun filled with art, clothes, gifts, music and more, even a kid’s area to tire them out before going home with all your goodies. Of course you come for the shrimp and you can taste all your favorites as well as some new creations. Oyster Cook-Off is another favorite on the Gulf Coast with a craft beer tasting and live music on opening night for you to try all the local brews before you dive into the oysters the next day. Enjoy selections from award winning chefs and Food Network stars and learn a thing or two about oysters. Shuck your heart out in the shucking competition or just sip on a Bloody Mary. World Food Championship is brand new to the Alabama Gulf Coast and is taking over the Wharf for a week in November. Watch fierce competitors battle to be the next World Food Champion and taste all their creations in the process. Learn tips and tricks for your own kitchen and take home some tasty treats. Pumpkin Carving. 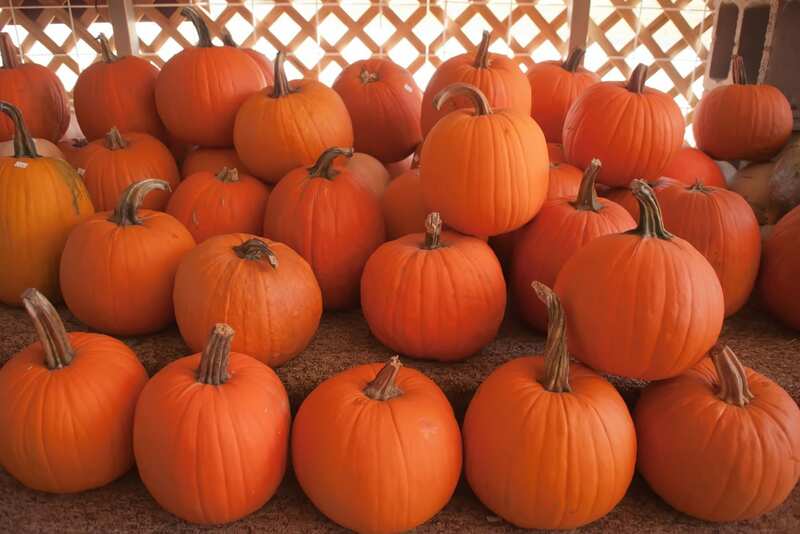 It’s a traditions that families do not miss, instead of going to the grocery store this year and picking out the picked over pumpkins, take the whole family to Wales West for the Pumpkin Patch Express and Scary Night Train. Ride an authentic steam train to the Haunted Barn Maze to the kiddie friendly pumpkin patch and pick that perfect pumpkin. While you are carving your new creations, keep the seeds and the guts to make a pumpkin pie and roasted pumpkin seeds for a healthy fall treat. Before you light that candle, put a wash of bleach on the inside so that your jack o lantern will last all the way to Halloween. Fall Treats. What’s better than Fall festivals and pumpkin carving? Those sweet treats that make Fall the best time of year. Candy apples, caramel apples and hot apple cider, these are a few of the sweet treats that you can make at home and have fun for all those Fall parties. Candy apples are fun and perfect for this time of year, but why not make them spooky for Halloween? While you are making your signature candy apples, add a little black food coloring for poison apples even Snow White would know were poison but delicious. Or make a bloody chocolate candy apple. Simply dip the base in white chocolate and drip your red candy coating on top for a bloody delicious treat. If you love candy apples, but don’t want the little ones to have that much sugar, simply take a melon baller to your apples and turn them into mini candy apples, perfect for a small snack and portion control. With all these apple, hot apple cider is the best drink for Fall. If you can’t find that perfect mullen spice to make your apple cider just like home, try using chai tea as your spices and add that to your hot apple cider for a treat that will warm your heart. Fall is the perfect time of year to relax and spend time with your family, there are so many crafts and activities that will keep you busy until the holidays and will keep you #creatinghappymemories that will last a lifetime and maybe start a tradition for the next generation.